The Seattle Seahawks were supposed to be in a rebuilding season this year. They were not supposed to be even thinking about the playoffs let alone actually qualifying for them. After stumbling their way to a 3-5 record, the Dallas Cowboys certainly didn’t belong in any playoff conversations. Here they are playing in the NFC Wildcard game Saturday night at AT&T Stadium in Arlington, Texas. But who is going to have what it takes to move on to the next round? 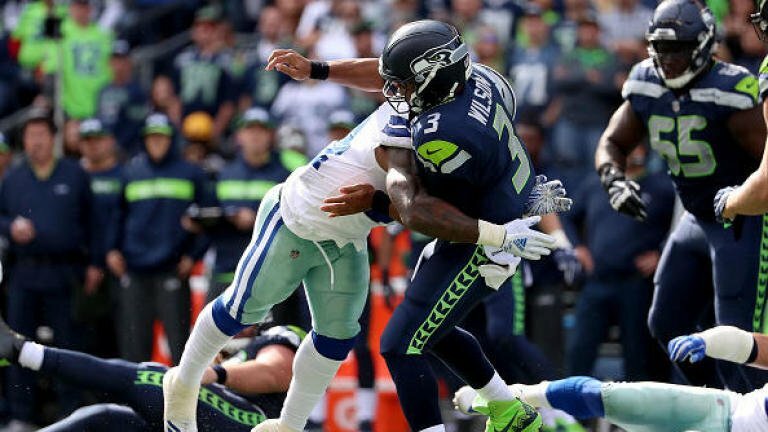 Looking at the Week Three meeting between the Seahawks and Cowboys will give you an idea of how the game is going to be played, but not how it will go. Both teams will undoubtedly look to establish the run much like they did in Week Three. But the Seahawks will not control the game Saturday night as easily as they did in Week Three. The big difference will be the Cowboys passing game. In Week Three, the Cowboys were still sticking with the “we don’t need a legit No. 1 receiver” approach. But they learned the error of their ways and traded for Amari Cooper before the trade deadline. Since then, the Dallas passing game has been a legitimate threat. Teams not only have to be concerned about Cooper but the attention he is drawing has made life easier on Cole Beasley and Michael Gallup allowing them to be more productive. But if teams try too hard to takeaway the passing game, Ezekiell Elliot will gash them in the running game. However, Seattle may have the best defense for a player like Elliot—an effective run game of their own. The Seahawks have been struggling the last few years to run the ball but got it figured out this year. With Chris Carson leading the way, they had the No. 1 rushing attack during the regular season (160 yards/game). Dallas does have one of the better run defenses in the NFL (fifth) but the Seahawks are still in good shape offensively with Russell Wilson at quarterback. Wilson has not been asked to do as much as he had to in past seasons. But he is still one of the better quarterbacks in the NFL. If the Seahawks need to pass, they will be fine. Throughout the regular season, the Dallas secondary wasn’t bad (13th). But in recent weeks, they gave up quite a few yards through the air (336 to Jameis Winston and 301 to Eli Manning). It all depends on which version of the Dallas Cowboys shows up. If the one that went on a five-game winning streak, including a dominant victory over the New Orleans Saints, comes to play the defense is going to stuff the run, smother Russell Wilson, and the offense will do enough to win. But if the one that showed up against the Colts comes to play, this game will be just as ugly as the first half of the season was for the Cowboys. The key will be getting Amari Cooper involved again. He has been quiet the last few weeks, so look for the Cowboys to get him on track early. Once they do, the offense will be in good shape. But the Cowboys will likely settle for a lot of field goals early on making it easy for the Seahawks to get back in the game in the third quarter. It will be a good game, but in the end, the Cowboys are going to come out on top. So, take the Cowboys to win, straight up and against the spread (-2), As for the over/under, the Cowboys hardly ever score a lot and they will make sure the Seahawks don’t score a lot either— take the under.